I've told you all of my allergy to Tide detergent and originally when I first started reviewing products, I was quite hesitant in trying out any type of laundry soaps. I wasn't quite sure how my skin would react and I already had a personal preference to a brand I knew worked well for my allergies. 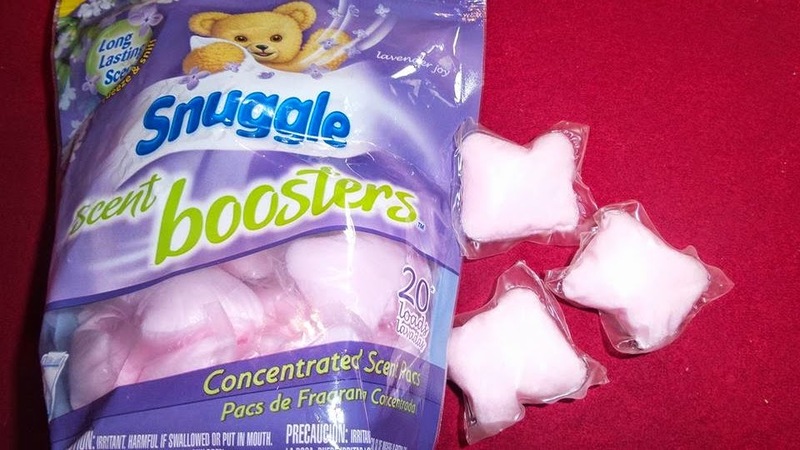 Recently, we were asked to review Snuggle Scent Boosters. I was quite excited since not only have I wanted to venture outside of my normal brand preference but my boys are actually pretty obsessed with the Snuggle Bear! I've never had a reaction to any of the clothing or bedding washed with Snuggle! Whenever I normally want my laundry to have a fresh laundry smell, it seems as if I have to use a crazy amount of detergent with an extremely light load. 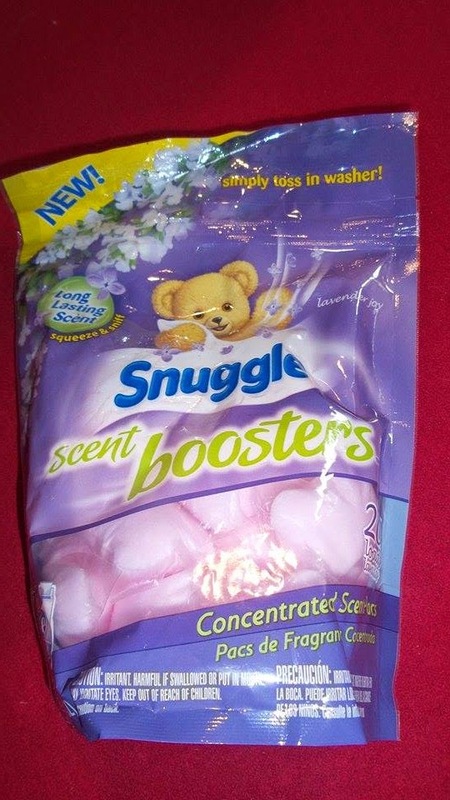 Thankfully with Snuggle Scent Boosters™ that's different. Using one packet, your laundry smells amazing! With all the moving we've been doing over the last few weeks, this has been a lifesaver! Any blankets, towels, or clothing we've had packed in boxes in the garage, seems as fresh as ever once washed with the Snuggle Scent Boosters™! Not only does the Lavender Joy scent smell refreshing and relaxing to begin with but it has quickly become a family favorite. We've recently discovered how important having a good detergent/Fabric Softener is since the boys are getting older and I cannot begin to describe to you the smells that come from their bodies (specifically their feet)! I sure hope this limited time only scent becomes a permanent one since I've fallen in love with it.